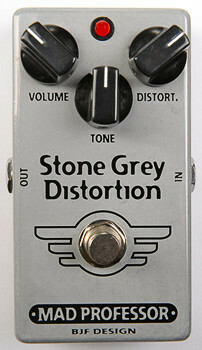 The Stone Grey is Mad Professor’s path of entry into the world of modern high-gain and heavy distortion. Björn Juhl and his team designed the Stone Grey to dish out gobs of gain with ultimate clarity and string-to-string definition. The result is a stompbox that will happily move from vintage high-gain zones to more contemporary metal territory with ease. The tight bottom end enables you to play at killing speed without loss of definition.